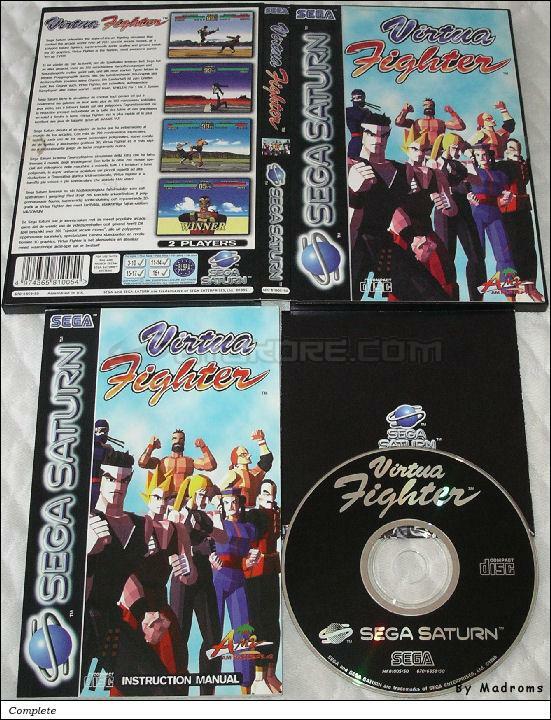 Virtua Fighter is a Fighting 3D game, published by Sega Enterprises, Ltd., which was released in Europe in 1994 for the Sega Saturn. The back cover of this game has been revised and this game has 2 different CD labels. And a special pack-in Portuguese version in standard CD case exists. Case and Manual Standard CD Case and Portuguese manual released in Portugal as a pack-in game with the console. 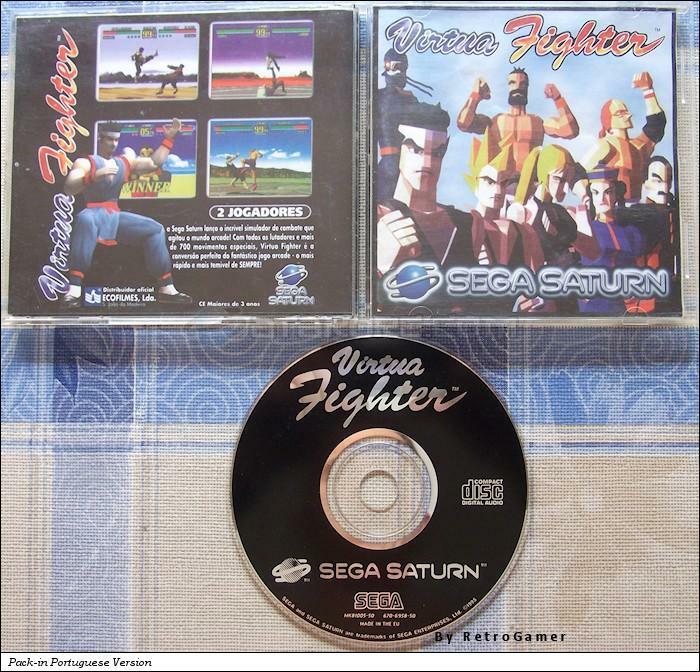 Nowadays, Virtua Fighter should be considered as a piece of gaming history. The very first fighting game to be created in 3D thanks to the genius Yu Susuki who has simply invented this new style of gaming. Facing more recent 3D fighters, Virtua fighter suffers from his oldness. However, with 8 fighters using 8 different fighting styles, the game stays pretty reliable and old players will enjoy a little fight now and then. A must have in any respectable Sega collection !